Please do not be taken aback by the title but yes, I did eat turtle while I was in Grand Cayman. 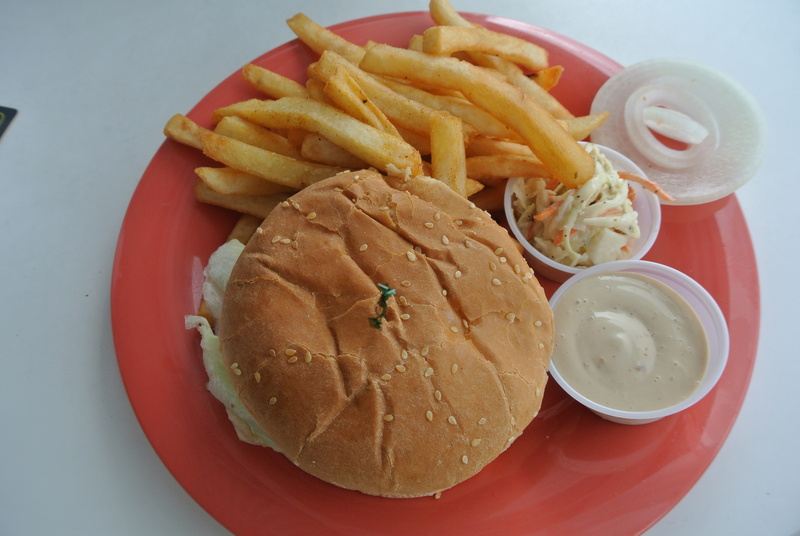 And I must say, I didn’t feel one ounce of guilt whatsoever 🙂 The turtle was used instead of beef in this burger and I know what you’re thinking – did it taste like chicken? And well, to be honest, I’m not sure what it tasted like. There were a ton of spices mixed in with the turtle meat that it masked the turtle meat. The texture was a bit like a crab cake – a bit flakey. Otherwise, if I didn’t know that I was eating turtle I don’t think I would have noticed 🙂 I think the next time I’ll try the turtle soup! Now in the area I stayed, there was no grocery store nearby but the Texaco gas station was just down the block and of course I had to check out the convenience store to check out what “junk food” Caymanians eat. I discovered something called Jupina – pineapple soda. I’ve tried to google Jupina and try to find out more but there isn’t much out there on this soda (I don’t even know where it comes from?) but I can tell you that it was refreshing with a very strong pineapple flavour! Check out some of my other finds!!! 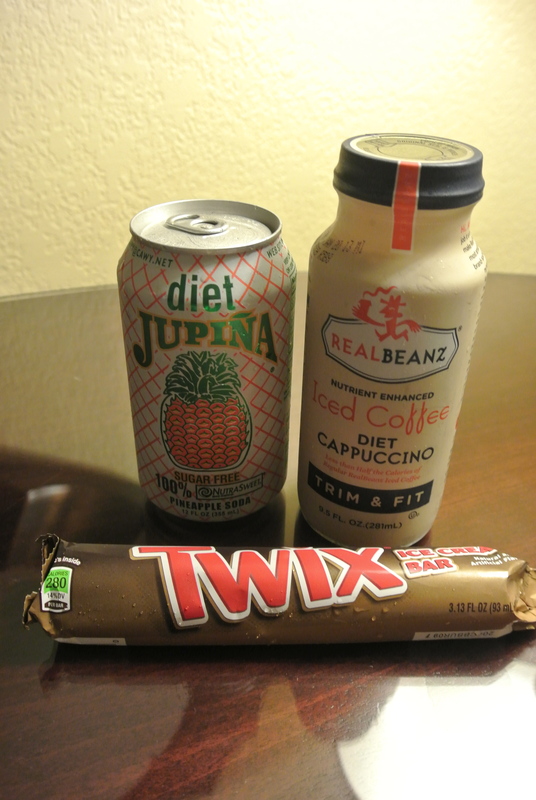 Diet Jupina, Iced Coffee and for dessert, a Twix Ice Cream Bar! 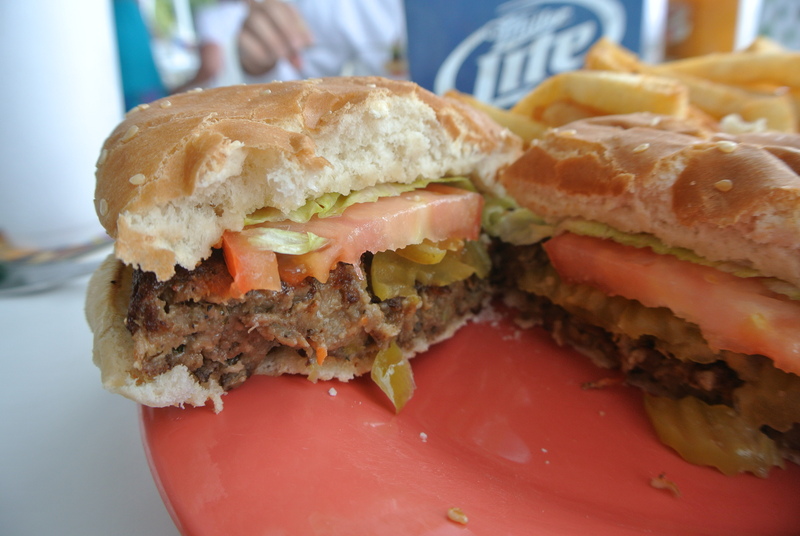 Turtle Burger – it was pretty tasty! If you take a close look, you can see the spices. 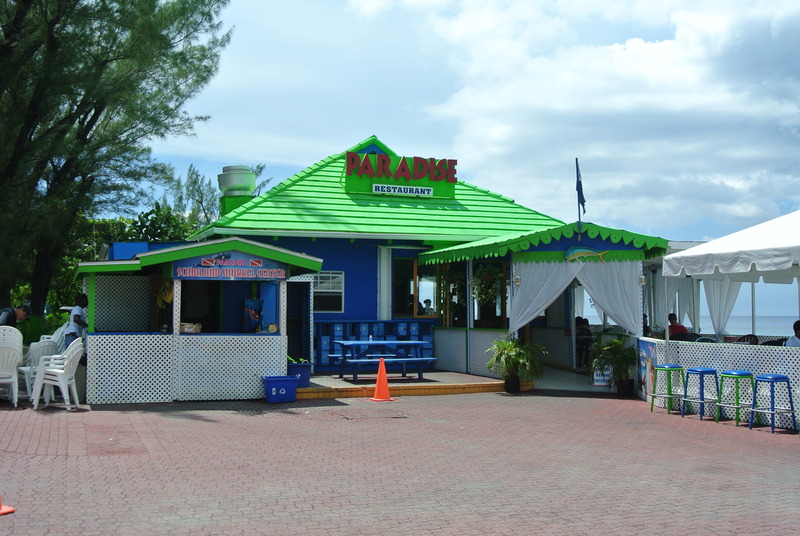 Paradise Restaurant – for all things turtle!